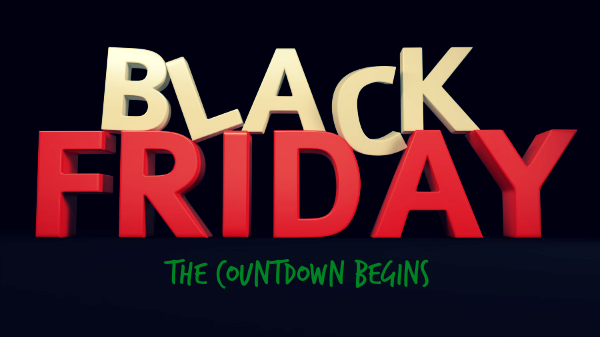 The countdown has begun and black Friday deals are about to start in just few coming days. In case you are not familiar with what is a Black Friday is about? Black Friday is a day when retailers begin to turn a profit of the year. It's a biggest shopping festival following by thanksgiving day in United States since 1932 and known as a biggest shopping festival in America. Some states in America even announce holiday on black Friday. Since Black Friday has become a marketing sensation in recent years and retailers around the world are taking interested in a black Friday with offering an ultimate deals to their consumers. Since, online marketing in Pakistan is gradually growing and retailers in Pakistan are very passionate also getting involved in black Friday. They strive to provide best deal offers to the customers as well. Every online retailer in Pakistan doing hard to bring the best sales event on black Friday. I've listed few sites below offering amazing Black Friday Deals 2016 in Pakistan for the consumer's assistance looking for the massive bargain deals on black Friday. However, for the people can't wait more for Black Friday may visit the site for early black Friday deals at PakStyle.pk. offering amazing offers on their entire products including, gadgets, electronics and clothing range and soon annual bargain feast is about to begin with 50% off on all their range. Daraz.pk black Friday's offer is going to start at 22nd to 24th November and claiming to offer the biggest black Friday sale ever in Pakistan with the collaboration with zong4g network. An amazing and mouth watering deal of daraz is collaboration with Sunsilk. A very well known hair care brand is offering 50% off on black Friday on their all range exclusively on daraz. Kaymu.pk is also passionate and very excited to provide the promising deals for black Friday. Kamyu prepared a massive discount offers on their range and featuring an ultimate deals which is going to start from 25th November. However, some early deals are already up on the site. Although many sites are floating with amazing black Friday deals and I've shared few best sites with amazing deals. Hope you like them. Happy Shopping!